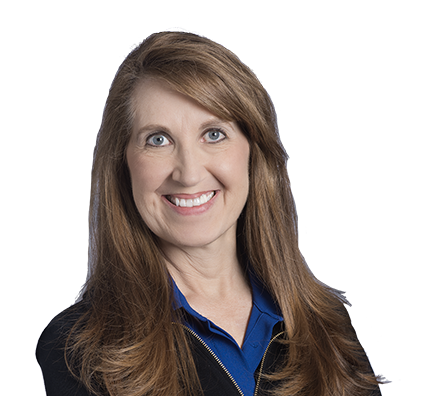 Nancy is a senior paralegal who concentrates in the area of commercial real estate loans, acquisitions and sales transactions. Nancy has extensive knowledge and experience in commercial real estate transactions, working with and on behalf of lenders, developers, landlords, tenants, buyers and sellers. She prepares commercial real estate documentation for the acquisition, sale, leasing, development and financing of retail, office, warehouse, wind farm and industrial properties. Nancy has been involved as managing paralegal in numerous multistate, multisite real estate transactions, including complex wind farm transactions. In these transactions, she monitors closing timelines and organizes and manages documentation. Comprehensive review of title commitments and surveys, including preparation of title and survey objection letters, clearance of title issues, and review and approval of pro forma policies. Extensive due diligence for multisite wind farm transactions. Multistate e-filing of real estate documents. Conducting lien searches, and preparation and filing of UCC financing statements. Prior to joining the firm in 1997, Nancy was a loan administration officer for a bank, documenting and closing commercial real estate loans.